New rules, a unique team event and plenty of publicity made for a bumper entry to the 70th Commonwealth Contest (formerly BERU). At this stage of the solar cycle it was not surprising that conditions were so poor, and very few contacts were made on 10 metres. Nevertheless there was a 33% rise in the number of entrants this year compared to 2006. Encouragingly, there were a significant number of first-timers, and many of them are already promising to return next time. Six HQ stations were active this year, including three from Canada, traditionally a keen supporter of this section. 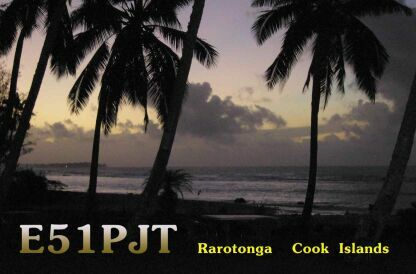 For those chasing counters for the RSGB’s Commonwealth Award (remember, automatic credit for confirmed contest QSOs), a careful search would have gathered South Cook Islands, Western Samoa, Chatham Islands, Spratly Islands, and Northern Cape Province (ZS3) of South Africa. In total though, 59 call areas (excluding HQ stations) were represented in entrants’ logs, a significant drop from 2006. For the statisticians, a grand total of 34515 QSO records went into the adjudication process, an increase over last year of over 30%. Thirteen checklogs were received and are included in that figure. A breakdown of activity by band shows a similar result to last year – 20m carried 40% of the contest traffic, with 40m following at 31%. 80m gave 15%, with 15m slightly up at 13% and 10m providing a mere 0.5%. This year entrants in the Open section could also choose to operate throughout the contest, or for a maximum of twelve hours in one or more sessions. With conditions on the higher bands reflecting the solar minimum, it is perhaps no surprise that many well-equipped stations went for the shorter option this year. Nigel G3TXF travelled to the Caribbean to operate as V25XF from Antigua, and took full advantage to wrest the top spot and win the Senior Rose Bowl. Naturally there was a Canadian in second place; this time it was Dave VO1AU. Habitual winner John VE3EJ found himself in an unaccustomed third spot, just ahead of two Cypriot stations – Alan P3J and Steve ZC4LI. 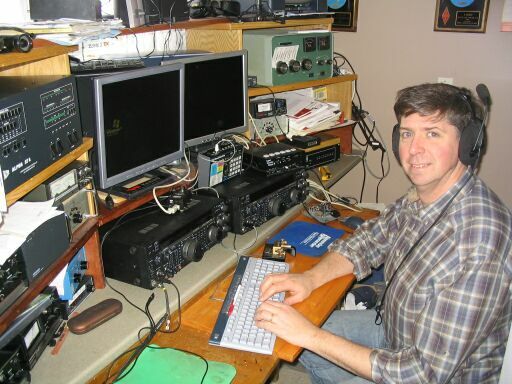 In fact, five of the top ten scores came from Canada, with Dave G3TBK at J88DR, and Brian ZL1AZE at ZL6QH providing the others. We have to look down to twelfth position to find the highest-scoring UK station, with Dave G4BUO scooping the Col Thomas Rose Bowl. In such a competitive section it was no surprise that the leading 12-hour operator, Cris GM4FAM, was down in twenty-eighth spot with less than half of the points of V25XF. Open Section Runner Up Dave, VO1AU. Operating position of John VP8KF visiting Port Stanley. 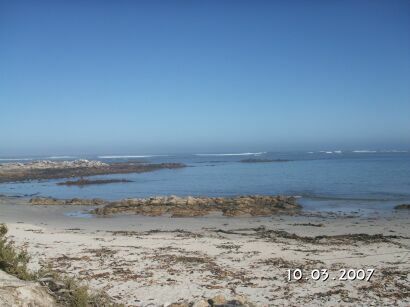 Verticals on the beach at ZS3/G3LZQ and the view to VE – ocean all the way! The new-style Restricted section attempts to level the playing field for those who, for whatever reason, cannot assemble a station to challenge the “big guns”. In addition to the antenna and power limitations, entrants have the option to enter either for the full twenty-four hours of the contest, or for a maximum of twelve hours (marked with an asterisk in the table), in periods chosen to suit their personal needs. Hardly surprisingly, the first eight stations in the section had opted for the full twenty-four hours. Peter G3LET made an impressive score from his home in Sussex to claim the Junior Rose Bowl, whilst runner-up Bob G3PJT travelled virtually to the antipodes to become E51PJT from the South Cook Islands. Had weather conditions in the South Pacific allowed his LF antenna to perform at its best, the gap in scores would undoubtedly have been smaller. Mike G3IAF made it into third position, and wins the John Dunnington Trophy as Peter G3LET remains ineligible this year. In fact, six of the top ten scores were by UK stations, and three were from Canada. Credit to Bob VE3OSZ and Jim GM3CFS, who managed ninth and tenth respectively, despite limiting themselves to just twelve hours of operating. There had been some concern that the revision to the contest rules would have a detrimental effect on the HQ section this year, with many keen contesters choosing to operate under their own callsign as part of their national team, rather than as an HQ station. Happily, this turned out not to be a significant problem, with just two fewer HQ stations active than in 2006. 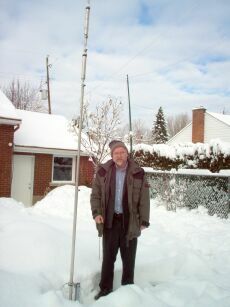 This year the responsibility for the GB5CC station moved north of the border in the care of John GM0OPS. A last-minute problem resulted in a less-than-optimum signal strength, and it was noticeable that GB5CC appeared less frequently in submitted logs, but, despite the rumours, the bonus was available to keen searchers! Disappointingly, despite several reminders, and an extension to the deadline, no log was received. So, with GB5CC out of the running, the opportunity was there for another HQ station to take the honours. 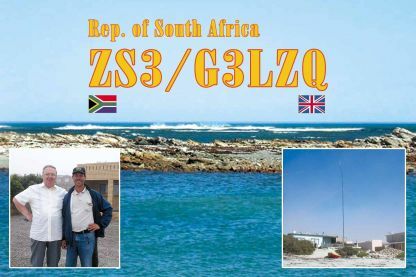 Stepping up to the challenge was VA3RAC, operated by Bob VE3KZ, hotly pursued by ZL6A with John ZL1BHQ on the key. 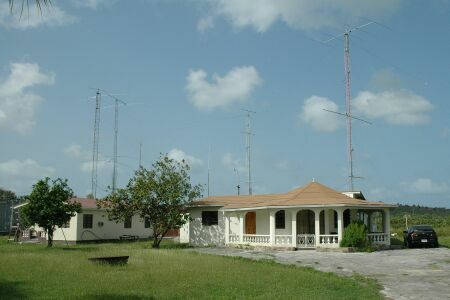 Canadian stations from both coasts were next, VE7RAC (Brian VE7JKZ) and VO1RAC (Paul VO1HE), with VU2UR completing the set. Multi-operator is a new section intended primarily to support the development of the next generation of contesters by providing an opportunity for mentoring by an experienced operator. It also, of course, provides a home for those contesters who do not wish to be deprived of DX-cluster support, always a controversial subject. Only two stations decided to enter this section, but it will remain for at least one more year before any decision is taken as to its long-term viability. Gerry VE6LB used DX-cluster to find his bonuses and takes first place, ahead of Dave G3UHU. The Ross Carey Rose Bowl is now awarded to the highest-placed UK station in the 12-hour category, regardless of section. Cris GM4FAM picks up this award. New in 2007, the VP8GQ Trophy is awarded to the highest-placed non-UK station, regardless of section, and crosses the Atlantic to Scott VE1OP. Hardly surprisingly, both stations were competing in the Open section. 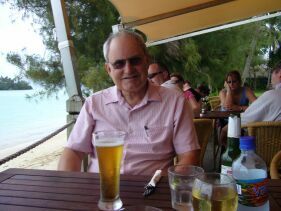 This year the Commonwealth Medal is awarded to Bob Whelan G3PJT. Bob has long been a staunch supporter of the Commonwealth Contest, and has, in his book “Reflections in a Rosebowl”, published its definitive history over three-quarters of a century. 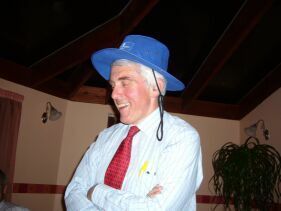 It was his inspired idea to inaugurate the Team event for 2007 which has done so much to re-invigorate the support at a time of sunspot minima, and he made a valiant effort, albeit ultimately in vain, to win the inaugural Traveller Award in 2007. Congratulations, and thanks for all your help. 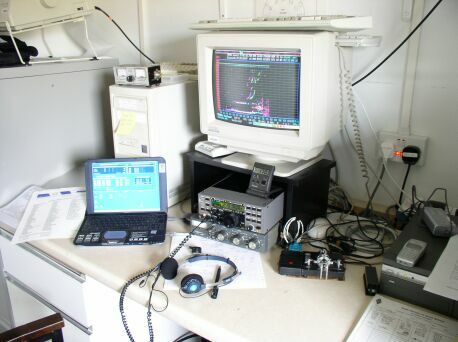 This year, in parallel with the main Commonwealth Contest, a team event was sponsored by Yaesu to coincide with the Cricket World Cup in the West Indies. Teams from Australia, Canada, Great Britain, New Zealand and the Rest-of-the-World battled each other, and the conditions, to be acclaimed as Commonwealth Team Champions. To retain the cricket analogy, each team consisted of eleven members, although events conspired against the Rest-of-the-World team to reduce their numbers. Recognising that conditions and activity ‘down-under’ would put VK and ZL at a disadvantage, a ‘pitch leveller’ or multiplier was to be applied to their team scores. Based on an analysis of scores from the last three years a multiplier of 1.7 seemed about right. In the event, New Zealand, Australia and Canada significantly raised their game over previous years. The Team winners were New Zealand with a total of 72088, hotly pursued by Australia who managed 65144. Canada were placed third, achieving 61010 points as, despite a magnificent effort, they could not quite overcome the 1.7 factor. Great Britain’s 49465 points take fourth position, whilst the Rest-of-the-World, unable to field a full-strength team, finished with 42135. ADJUDICATION: First of all, my sincere thanks to those of you who sent logs in the exact Cabrillo format requested. Not only does it make my job so much easier, it removes any possibility of any errors being accidentally introduced when other formats are “massaged” into a useable state. Having been away from home over the contest weekend, I was met some twenty-four hours later by a deluge of logs awaiting my attention. One might imagine that there was also a competition to see who could submit their logs the soonest! Sadly it seems that many of these “early birds” are not taking the time examine their logs prior to sending, with the majority of the “V01TA instead of VO1TA” or “missing HQ” errors being found in these first logs. My thanks are again due to Steve G3UFY, and his team, for their efforts in turning paper logs into electronic form for adjudication. There are a few points of rule interpretation that I wish to address. Both Restricted and Open sections allow for 12-hour entries. However, these must be suitably annotated, otherwise it is not always apparent to the adjudicator. If there is any doubt, the logs are included as 24-hour entries. Two stations have been included in the Open section, despite submitting a Restricted section entry, as a result of the station description included within the Cabrillo file. And finally, whilst it is possible to send “spots” to a DX cluster whilst not receiving incoming data, any entrant who utilises received data MUST enter the Multi category – there may be further scrutiny of this area in future years! This is an expanded version of the write-up to be found in the June 2007 issue of RadCom. Thanks again to Yaesu for sponsoring prizes for the team competition. It should be pointed out that some QSOs include more than one error (e.g. incorrect serial number and duplicate). These totals only include the first error type found by the adjudication process for each QSO record. These are the callsigns most likely to be found in busted form in submitted logs, and their number of occurrences. 3B8, 4S, 5B, 5W, 5Z, 7Q, 8P, 9H, 9J, 9M0 (Spratly), 9M2, 9M6, AP, E51/S, G, J8, V2, V3, V4, V8, VE1, VE2, VE3, VE4, VE5, VE6, VE7, VE9, VK1, VK2, VK3, VK4, VK5, VK6, VK7, VK8, VK9/N, VO1, VO2, VP5, VP8, VP9, VQ9, VU, VY2, Z2, ZB2, ZC4, ZL1, ZL2, ZL3, ZL4, ZL6, ZL7, ZS1, ZS3, ZS4, ZS5 and ZS6. 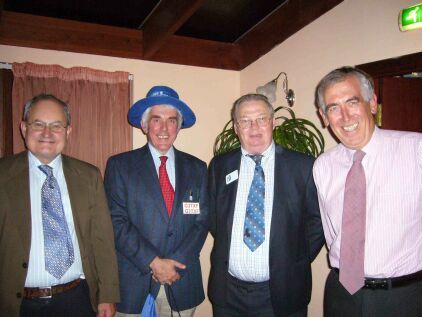 The 71st Commonwealth Contest will take place on the 8/9th March 2008, starting at 1000UTC. Following the major revamp of the rules for 2007, there will not be any significant changes for 2008. There may, however, be a couple of “clarifications” resulting from an analysis of this year’s competition. Will there be a repeat of the Team Competition? This is as yet undecided. It was originally intended as a one-off event, but its popularity has taken us all by surprise. Besides, continuing with the analogy of cricket, and knowing how competitive the Aussies are, can you imagine them being happy to leave it without any chance of redress? Rest assured that the ‘pitch leveller’ will be adjusted for any future events to help ensure a keen contest. Finally, look out for the BERU Archive CD containing full details of all previous Commonwealth Contests. Full details are available from Bob G3PJT. As a separate initiative, from this year, automatic credits will be given towards the RSGB’s Commonwealth Century Club award, for all verified contacts in the Commonwealth Contest (for credit, the QSO must be verified in both logs). Visit http://www.rsgb-spectrumforum.org.uk/ccc.htm for further details.